He is better than the Energizer Bunny! Fr. 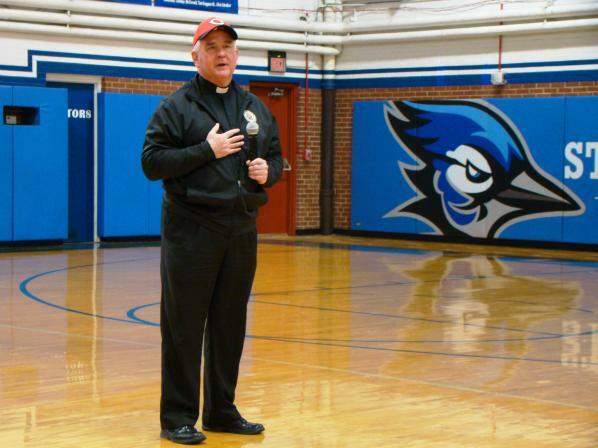 Gerry Reinersman was ordained a priest forty years ago and is still giving and giving. The students and faculty of St. Joseph, Cold Spring surprised Fr. Gerry on Friday, February 1st, with a celebration recognizing him for his forty years of service. Each grade level prepared a special song or skit which was recorded and played for everyone on ‘Channel Bluejay,’ a news station created for the event. Fr. Gerry was given a seat of honor as the ‘news’ was presented to the entire school in a special broadcast that was aired in the gym. Fr. Gerry also received a Reds baseball cap and tickets to a Reds game of his choice. Even if the Reds played the most sensational game of the organization to date, they would have a hard time surpassing the gift from the St. Joe’s students and faculty! 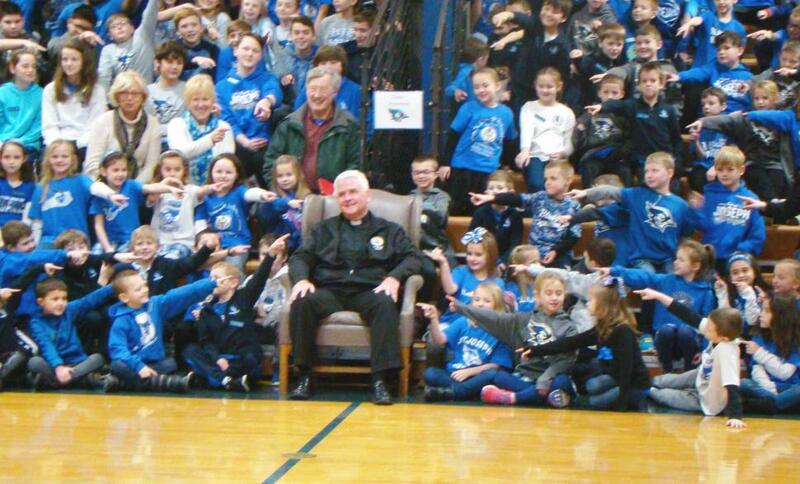 Father Gerry Reinersman has a seat of honor at a celebration recognizing his forty years as an ordained priest, hosted by the faculty and students of St. Joseph School, Cold Spring. Father Gerry Reinersman expressed his appreciation to the students and faculty of St. Joseph, Cold Spring for a celebration thanking him on his fortieth anniversary of his Ordination to the Priesthood.